Whether you’re putting your house on the market, or just trying to improve it for yourself, it can be hard to find home improvement projects that make a difference and fit into your budget. Keeping a clear head and choosing things that will give you the most bang for your buck is a good way to ensure that you’re investing wisely in the value of your home. So how do you pick a project? Well, the first order of business is to come up with a budget. Figuring out how much you can spend on a project from top to bottom is the key to ensuring that you end up with the end result you want and the quality of work that you deserve. Once you have a budget, it’s just a matter of prioritizing what improvements will have the greatest return on investment – and for that, we have a few suggestions. 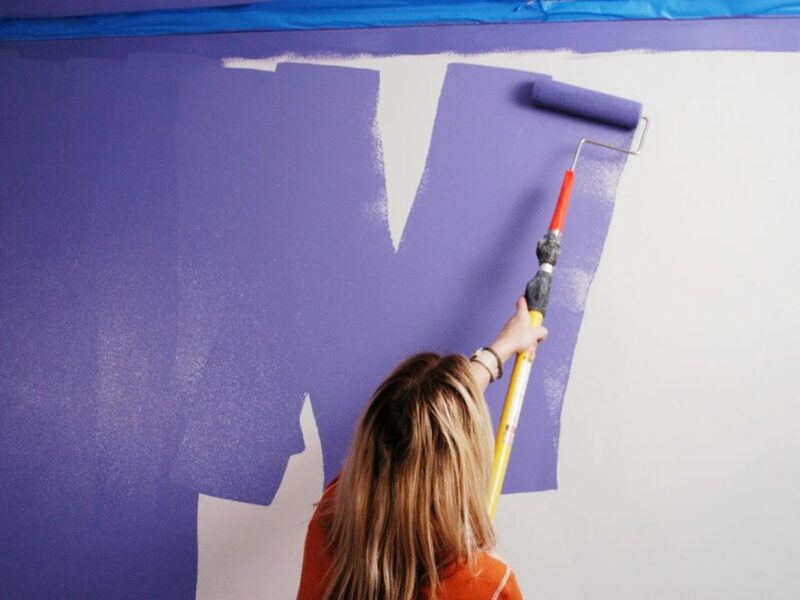 One of the best ways to take your house from looking tired and worn out to feeling renewed and rejuvenated is with one simple change: a fresh coat of paint. The key is to choose colors that go with both the décor of the room and each other. The exception, of course, is if you’re also looking to update your upholstery and accessories – then you have a bit more flexibility with your color choices if you’re looking for something outside the bounds of neutral. So what do you do if you’re not a color expert? Head into your nearest home improvement store with photos of the rooms you’re planning to paint and ask for help! The team in the paint department often have a good eye for color, and can even make recommendations of a brand and finish that would be ideal for your situation (from the materials in your home to your budget). One of the biggest challenges that people face when trying to figure out how to make a room feel warm and comfortable? Lighting. Thankfully, depending on your budget, it’s pretty easy to find a solution. If you’re looking to go all out, you could certainly investigate carving out space for more windows or expanding the existing framing to accommodate larger windows. Adding opportunities for natural light is a great approach – but it can also be costly. That said, referring back to our painting project, if you lack natural light you may want to steer away from dark colors. They can make a room feel dim and oppressive if they aren’t counterbalanced by the appropriate lighting. The more economical approach? Install new light fixtures. Ceiling fans with numerous lights can brighten up a whole room and improve air flow. 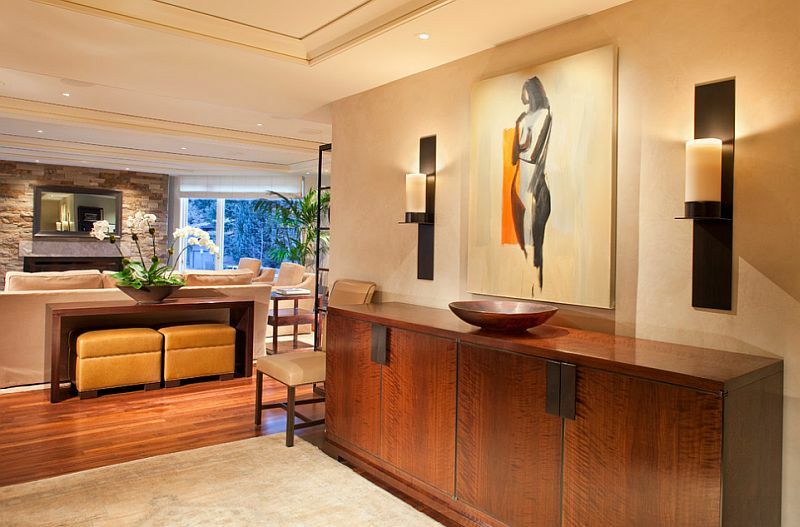 Recessed gallery lights can be a low-profile addition that highlight parts of the room you want to emphasize – such as unique furniture or artwork. And at the end of the day, freestanding lights are better than a too-dim room. And of course, the easiest fix might just be to get different bulbs. Lightbulbs are rated on a temperature scale based on the color of the light – in general, colder bulbs (white/blue light) will enhance dark-colored rooms, while warmer bulbs (orange/yellow light) will give a cozy feeling to brightly painted rooms. Caulk. The white stuff around your sink, shower, and toilet? It’s supposed to be white. If it’s not white, you definitely want to clean it up – and every few years, you should remove the old caulk and replace it with fresh, new caulk to avoid leaks. Grout. The mortar between your tile flooring or backsplash? Also white (in most cases) and easier than you might think to clean. Cabinet Knobs & Drawer Pulls. These should be cleaned regularly and match, both each other and the style of your fixtures. Counters. Replacing your countertops can be costly, so if you can’t afford that then consider a paint or stain designed specifically to refinish old countertops. Taking care of these little things might not seem like it makes a big difference – but our eyes are drawn to things that are out of place. So if a cabinet knob broke and you replaced it with a completely different style or color, it’s going to stand out. Protip: When you’re updating your cabinet knobs and drawer pulls, buy extra of both – that way if they discontinue your style, you’ll have replacements in case something breaks. This entry was posted on Friday, July 14th, 2017	at 1:24 pm	. Both comments and pings are currently closed. Had a great experience throughout! Charlie was beyond flexible for scheduling an estimate and getting the job done within our preferred time frame. The work crew was great and the whole job was completed in 3 days, which I thought was impressive for over 400 linear ft. We love our fence, but probably not as much as our dog does! Would highly recommend Excel for any fencing job!